Our financial position remains extremely challenging. By planning ahead, we’ve saved £178m since 2010 and reduced our budget shortfall. But growing service pressures, increasing inflation and uncertainty about national funding mean that demand continues to outstrip income. This is placing vastly increased strain on our children’s and adult social care. 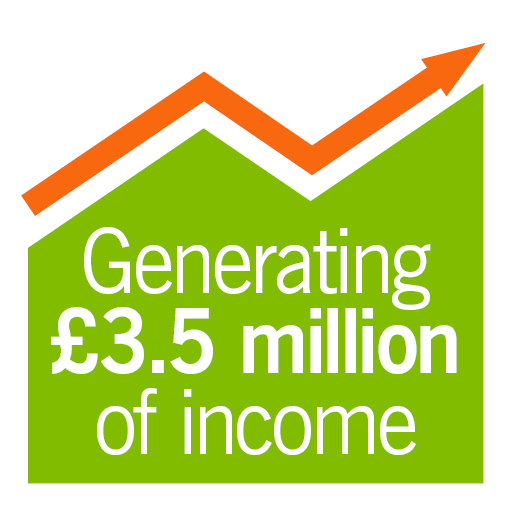 Our budget recognises this and include an extra £41m growth – mainly for these two areas. 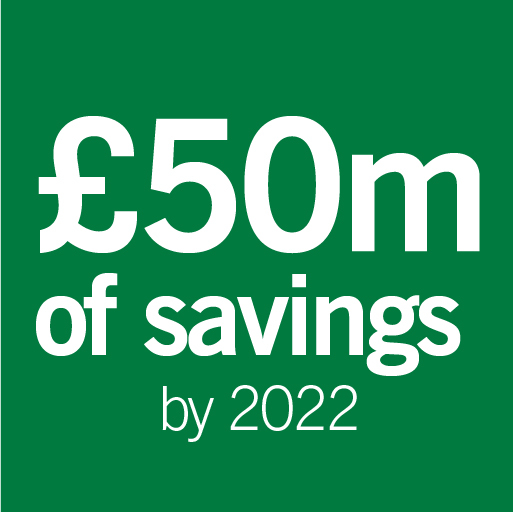 Over the next four years, we’re planning to save £50m. To try to limit the cuts we have to make to services, in 2018/19 we’re increasing 'core' Council Tax by 2.99 per cent – and the adult social care precept by three per cent - making a total rise of 5.99 per cent. Asking residents to pay more is not ideal. But at a time when we face reducing much-valued services such as roads, libraries and support for vulnerable families, we have to seize opportunities to generate valuable income. Transforming services and making efficiency savings means the council is much leaner. Selling services to other organisations – plus investing in property – is generating income which is ploughed back into services. And by doing more with partners, and leading calls for fair funding from the government, we’re doing everything we can to lever more funding. We're also spending £289m on roads, schools, broadband and more, supporting new homes and boosting the local economy - this is funded by one-off government grants and land and property sales. We're responsible for delivering a wide range of sevices including social care, transport, education, planning, libraries, waste management and trading standards. These are funded by Council Tax, business rates, Government grants and income from fees and charges. Government funding for councils has been cut since 2010. By 2020, we expect to lose all of our Revenue Support Grant - in 2013, this totalled £81m. Also, other Government grants are reducing or stopping. 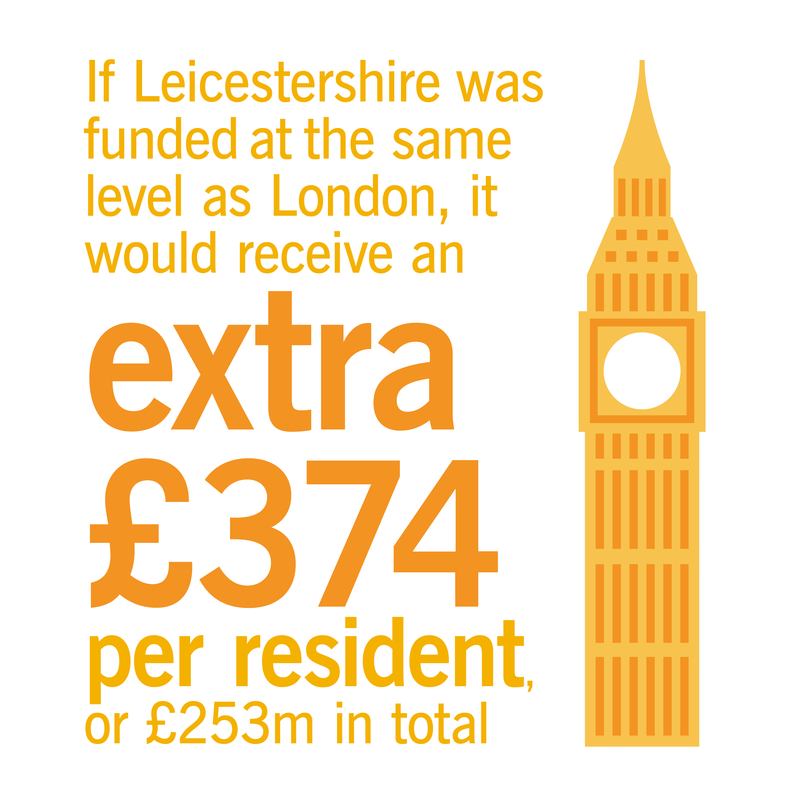 Also, Leicestershire is the lowest-funded county in the country. We've been calling for fair funding for many years - and for a new system to be introduced matching an area's needs with its funding. How does the budget break down? How will the 5.99 per cent rise be spent? This generates £16m in 2018/19. 2% (£5.4m) - most will support growth in the number of service users, with the balance contributing to the cost pressures for care services, driven by increases in the National Living Wage. 1% (£2.7m) £1m to fund Supporting Leicestershire Families (for two years), £600k-a-year for road maintenance, £1m to pay for pay rises for lower paid jobs, £100k to extend support for community managed libraries. The balance in future years will be used to reduce the financial gap. 1.99% (£5.4m) contribute to the growth, which is mainly for the increase in the number of children requiring care.